Get in touch today to receive a FREE Gift Certificate valued at $169.95. Interior Design Bowral are property styling experts, specializing in preparing properties for sale, so that owners can achieve the best price possible in any market. 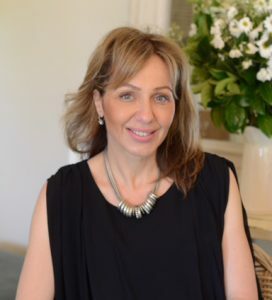 Tanya is a professional Interior Designer who will stage and style your home and as a Licensed Real Estate Sales and Marketing specialist, will help you select the right Real Estate Agent for your home. Our Results As interior designers with a property styling service you get to choose from our list of trades persons who can prepare your property prior to staging, styling. Home staging attracts the right buyers and appointing the right agent gets your home sold. We have built a enviable reputation in the Bowral, Mittagong, Moss Vale, Macarthur, Illawarra areas, just south of Sydney, for our exceptional styling and sales results – we are well-known for helping our clients consistently style and sell their homes faster for top dollar. Our Value and Commitment Tanya and her team will style your home with a selection of furniture, soft furnishings, accessories and artwork, and work closely with you as someone you can trust to help you interview real estate agents and monitor the performance of your Selling Agent to get you top dollar. Tanya as a Vendors Advocate can negotiate the fees and help you plan a marketing strategy that’s right for your home. This service is absolutely free to you as the Selling Agent will pay a percentage of their commission based on the sale price of your home. Who uses our property stylist services? Homeowners who need to maximize their after sale profits. Investors who need to achieve the best return on their investment properties. Commercial property owners who want to realise their profits. Developers who want to stage new properties for the market for sale. What type of properties do we style for selling? Single and double story homes. Why is home staging styling important ask our clients ? I have been extremely happy with the styling result that Tanya and her team have produced at my property. Throughout the entire process, Tanya has been completely dedicated to getting a very professional, inviting style to the home and has made it come to life in a way i could never have envisioned. She has helped in every way, answering a myriad of questions and offering advice and even physically doing many related jobs that the end result has been inspirational. I cannot recommend Tanya highly enough. And as a vendors advocate her strategies and experience in sales and marketing was paramount to getting our house sold for a top price. If you choose to work with her you will get a great result at a very reasonable cost and have a lot of fun and learn from her extensive knowledge as you go. We know how to style your property, to the demographics of your buyers, so that buyers instantly fall in love with it and once this happens, the sale is just a formality. Property styling, home staging maximises your profits, so preparing your property for sale is a vital step in the marketing process.